Every profession requires certain attributes to work in that specific line of work and furthermore, the brand you work for gives your job a certain meaning based on that company’s values. 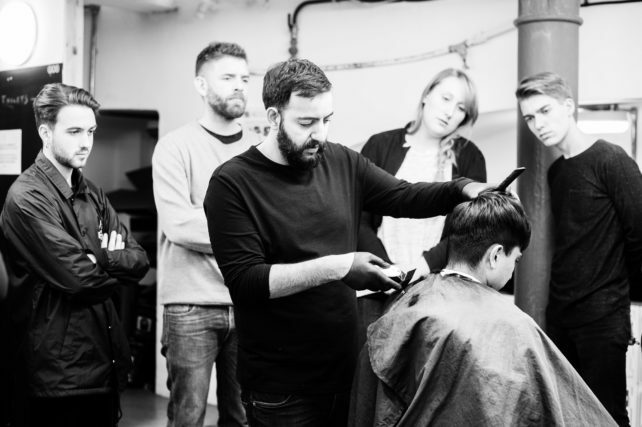 Our Creative Director Michael Kontos shares with us what it means to be an London School of Barbering educator. 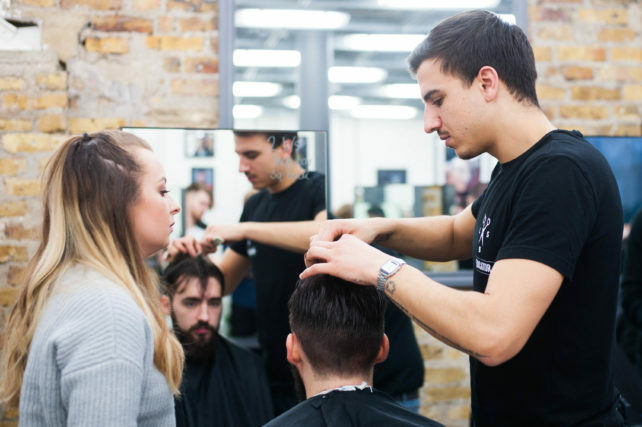 Through out the years, London School of Barbering has been fortunate enough to have some top class, barber educators working at the school in delivering our very established structure of barbering education. Currently, we have eleven educators working across our two central London academies. Three of those educators have taken our beginner NVQ 2 course, went on to work in the barbering industry and have since come back to London School of Barbering, to teach all the knowledge that they have gained though their industry experience of working in a barbershop environment. Alex Snell was one of our first students to graduate from LSB back in 2013. He now teaches our NVQ level 2 classes. His knowledge and experience has helped him become a strong teacher that produces amazing results, due to his firm, but fair approach. Bryony Holman is another great LSB success story. Bryony graduated from LSB in 2016 and she is now teaching our advanced classes. She is teaching people already in the industry, which is a testimony to her fantastic and natural teaching ability. Troy Argones studied with us a few years ago, taking our NVQ 2 Diploma course and then went into the industry, building up outstanding experience. 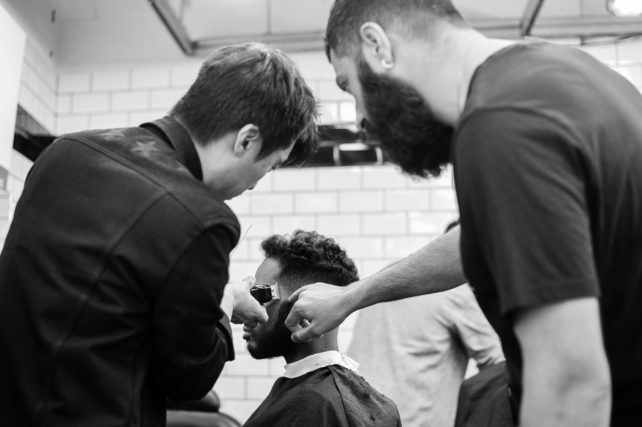 His barber industry experience includes working in barbershops, barber events here in the UK and internationally, along with being a private barber for Justin Bieber’s Purpose Tour. 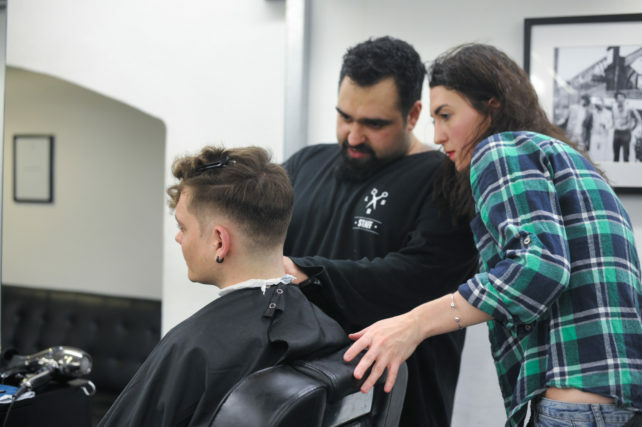 The decision for him to come back to London School of Barbering to work as an educator has been very rewarding for him and our students, with his fountain of knowledge that he can pass on to our students. 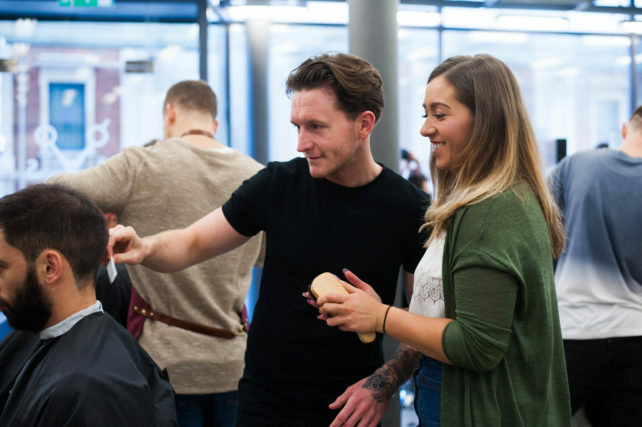 Our educators take a lot of pride in their jobs, mainly because they are passionate about the barbering industry, which shows in the way they teach. They not only love cutting hair and transforming the appearance of their clients, but they also love teaching these skills and techniques, sharing their knowledge, so that the standards in barbering will continue to develop and grow. If you believe you have what it takes to be an educator for London School of Barbering, then please apply, without fear of rejection, or feeling that you’re not good enough. You will never know unless you try. If at the first attempt you don’t succeed, then try again, as we will give you direction in where you need improvement. We are always looking for new talent to join our passionate and professional expert team. If you are interested in joining the team, contact our head office on T: 0207 404 0998 to find out more details. 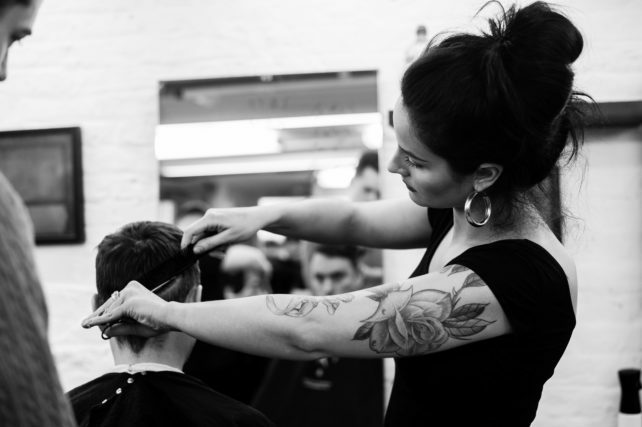 London School of Barbering was established to help people fulfil their dreams. We want to continue doing this by providing barbers with a path that could be the next step in their career. Educating is a job that will give you a lot of personal satisfaction, along with a handsome salary to go with this very sought after profession.